The program will be on Pruning given by Bob Lundberg. Bob is an American Rose Society Master Rosarian, the Charleston Lowcountry Rose Society Consulting Rosarian Chair and the Charleston Lowcountry Rose Society Program chair. The program will start with a discussion of the tools required to accomplish the pruning task, followed by some comments on why we prune and the different approaches to pruning as we go through the growing season. There will be a discussion on the approach to pruning different classes of roses. At the conclusion of the discussion period, there will be a demonstration of spring pruning on Hybrid Tea and miniature rose plants. Membership in the Charleston Lowcountry Rose Society is open to anyone with interest in roses. Dues are $15 for single membership and $20 for family membership annually, January - December and includes information-packed newsletter, The Charleston Rose and participation in all society activities. For more info, email Rosalinda Morgan at RosalindaRM@comcast.net. To join, send dues to Matthew Morgan, Membership Chair, 3056 Sugarberry Ln., Johns Island, SC 29455. 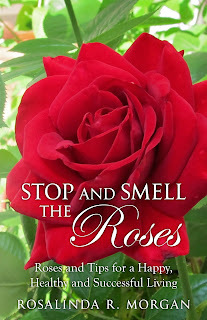 Visit our website – www.charlestonrose.com.